Identity theft in America is a big problem -- and it's growing. Since the turn of the millennium, consumer complaints to state and federal law enforcement, alleging identity theft and similar frauds, have skyrocketed from 325,519 in 2001 to 2,061,495 in 2012, according to the FTC. That's a 533 percent increase in just 11 years. And the situation is worse in some places than it is in others. Here now for your perusal are the top 10 states in the U.S. for getting victimized by pure-play identity theft (as opposed to mere "government benefits fraud," "credit card fraud," fraud involving your smartphone, or any of the other several subsets of ID-theft-related fraud), according to the U.S. Federal Trade Commission. With only 19,232 instances of reported identity theft in 2012, Georgia looks like a comparatively safe place to live, next to the criminal playground that is the Sunshine State. But Georgia also has only half as many people as its neighbor to the south, so that's still 193.9 victims per 100,000 people, easily earning it the No. 2. spot. With only 12,075 reported ID thefts, not many residents of the Great Lake State got soaked by that variety of scammer last year (although other forms of fraud were four times more frequent). By population, Michiganians were roughly one-half of one person (per 100,000) less likely to get scammed than their warm-weather cousins in Cali. Home to NYC, the model for crime-ridden Gotham City, New York state may not have the most savory of reputations -- and yet, it ranks as only the fifth-worst in the nation for identify theft. The state with the nation's most populous city reported only 21,538 cases of ID theft last year, or just a hair above 110 cases per 100,000 residents. Home to Las Vegas -- Sin City itself -- Nevada seems like another likely target for ID thieves. And yet, judging from FTC records, there's really not a lot happening in Vegas that scammers would want to stay in Vegas. The entire state of Nevada recorded only 3,032 cases of ID theft last year, although other types of fraud were five times more frequent. Cybercriminals and other ID theft artists messed with 28,299 Texans last year -- 108.6 victims per 100,000 state residents. That made identity theft one of the most popular forms of fraud in the state, just ahead of abusive debt collectors. Arizona takes the eighth slot in the FTC's survey, two slots behind Nevada despite recording twice as many (7,032) instances of ID theft in 2012. That worked out to 107.3 cases per 100,000 residents. 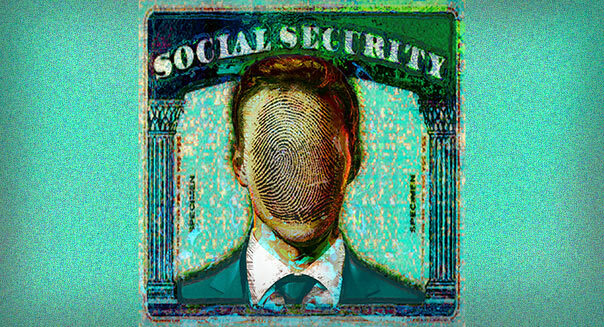 ID theft derived from government documents or benefits fraud was the most popular scam here, followed closely by employment-related fraud. Whether inside or outside the Beltway, Marylanders aren't free of the scourge of scammers willing to work outside the legal boundaries: 6,178 cases of ID theft were reported there last year, about 105 instances per 100,000 residents. Per capita, the state's also the No. 3 place for fraud scams not specifically tagged "ID theft" -- just behind Florida and Georgia. Rounding out the list of the top 10 places to move if you want your identity stolen is Alabama, with 104.9 cases of ID theft per 100,000 population (essentially tied with Maryland), and 5,060 cases of ID theft, total. Fun fact about the Yellowhammer State: More than half of its ID theft cases (52 percent) involved government documents or benefits fraud. An ID thief once tried to use Motley Fool contributor Rich Smith's credit card to buy two first-class tickets to Abu Dhabi. Adding insult to injury, the thief tried to pay extra to buy optional luggage insurance.